As the people of Orissa are utmost happy over recognition of the classicality of their mother tongue, a wrong person in the right place – Chief Minister Naveen Patnaik – under whose misrule Oriya language has been de facto reduced to a stale condition being deprived of its primacy in official use, has exceeded all limits of brazenness in claiming credit for the achievement, as the entire official machinery was used to celebrate the long overdue recognition in a style that was aimed to tell the people that, it is his government that has made the dream come true. Union Minister Srikant Jena, who has injured Oriya mana by shamelessly acquiescing into an utterly inferior position in the Union ministry, has not stayed behind. He has claimed that the classical status “given” to Oriya language by the central government is the best gift of the Congress party to the people of Orissa. Sadly, a handful of men of letters, taking advantage of anarchy spread in the literary horizon of Orissa, are seen cultivating approbations for their self-claimed contributions to achievement of the classical tag, though in reality, for collection and compilation of documents placed before the union cabinet in support of Orissa’s claim, they have discharged a paid duty. Even some of them have allegedly used officially procured data for projection thereof as their own researched collection! But none of these fellows have shown and cannot show, how had they reacted when Telugu bagged the classical status even though it was well on records that Oriya is a far superior language than that. 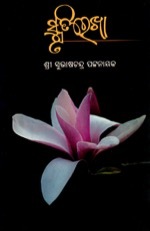 Let me begin with the most authentic recognition of Oriya’s superiority and proceed to say how it declined because of Orissa’s political and executive governments and men of letters – more eager to ingratiate themselves with the men in power for bagging desired positions and awards than staying sentinels of the Oriya language. “The Oriya Language can boast of a rich vocabulary in which respect neither Bengali nor Hindi nor Telugu can vie with it”, the internationally acclaimed linguist Sir George Grier’son had to declare in Linguistic Survey of India (Vol.IV). We will come later to why he had to make this comparison; but let me first make it clear that, Orissa owes its origin to Oriya language. Orissa is the mother of the concept of linguistic provinces in India. To quote Mahatma Gandhi, it had “raised the large question of redistribution (of population and landmass) on linguistic basis” (Young India, 18 February 1920). It was born out of political debris the British had made of it, on the basis and because of its children’s ardent love for their mother tongue. The invader British was most afraid of the brave and proud people of Orissa. Orissa was the last land in India to have shrewdly been annexed by the British; but was the first land, where no sooner than being occupied, swords were raised to oust the British from the soil. Admitting this historic reality, British historian G. Toynbee has said, “It was not long, however, before we had to encounter a storm which burst with so sudden fury as to threaten our expulsion” (A sketch of the History of Orissa). The patriotic “disposition” of the people of Orissa was such that it was impossible for the British to defeat or overcome them “either by military or police” (Magistrate W. Forrester to Commissioner Robert Ker, on 9 September 1818). Therefore, it is Orissa, where the invader British had to make a compromise with the people. Their leader Buxi Jagabandhu Bidyadhar Mohapatra was honored with dignity and the moral sovereignty of their king-emperor the Gajapati of Orissa was restored. But through this compromise, the British also had gained acceptability as a government. The people of Orissa allowed themselves to be ruled by the British in lieu of restoration of the lost honor of their leader Buxi Jagabandhu and their moral Sovereign the Gajapati. It was a sacrifice par excellence ever made by a brave race. But the British, after gaining this acceptability as a government, resorted to blatant treachery against the people and divided Oriya speaking tracks and arbitrarily attached the separated parts to neighboring provinces of Bengal in the north, Madhya Pradesh in the west and Madras in the south in order to weaken the Oriyas, whose “disposition” it was afraid of (Magistrate W. Forrester to Commissioner Robert Ker, cited supra). Thus the proud people of Orissa were reduced to linguistic minorities in their rival neighboring provinces in the labyrinth of conspiracy. To push them into further disadvantage, the “native servants” of the British were being helped to misappropriate the landed properties of the Oriyas militia and it was soon seen that a few fellows that were earning their livelihood as pimps in Calcutta brothels became Zamidars in Orissa! People of Orissa got ruined as native servants of the British – the Bengalis in particular – went on looting their properties. “A regular system of oppression and peculation appears to exist throughout …… these people (the Bengali servants of the British) are considered the terror and the scourge of the district” (Revenue Administration in Orissa, notes of W. Trower, Collector of Cuttack, dated 23rd may, 1817). 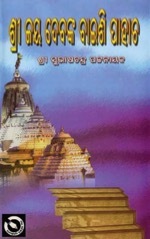 The Bengalis, taking the advantage, not only went on looting the jewelry and landed properties of the people of Orissa, but also their intellectual properties like Sri Jaya Dev’s world famous lyrics compiled in Geeta Govinda and Proto-Oriya works of the Siddhacharyas of Orissa known as Bauddha Gana O Doha and dared even to claim that Oriya was not a separate language, but an offshoot of Bengali! The words used for the Bengalis by Trower in Cuttack context were applicable to Madhyapadeshis and Telugus in whose hands the Oriya speaking tracks had fallen under the conspiracy. Dinabandhu Pattanayak of Dharakot (Ganjam) was the first man to have raised voice against this mischief. He made a public appeal to peoples of Cuttack to come forward to fight for amalgamation of the Oriya speaking tracks in entirety as otherwise Oriya culture, sculptures and natural wealth cannot be saved from non-Oriyas (Utkala Dipika, 22 October 1870). It eventually gave birth to Utkal Sammilani, the great Oriya Movement led by Kulagaurav Madhu Sudan Das, which not only forced to create Orissa as a separate province with the concentrated Oriya speaking areas, but also paved the path for formation of language-based States in India. But, by then Congress being the national forum of negotiation with the British and Bengalis and the Telugu as well as Hindi speaking people having their sway in the Congress, there was a lot of resistance to creation of Orissa as a separate State. The Oriya Movement led by Utkal Sammilani was unique and unprecedented. Gandhiji had to say, “The fine race (of Oriyas) cannot possibly make the natural advance which is its due, if it is split up into four divisions for no sound reason” (Young India, 18 Feb. 1920). By then, the British had already had a linguistic survey of India. Making a study of the linguistic superiority claims of Bengali, Hindi and Telugu as against Oriya, Sir George Grier’son had made it unambiguously clear – as quoted supra – that, Oriya was far superior to all these three rivals. “The Oriya Language can boast of a rich vocabulary in which respect neither Bengali nor Hindi nor Telugu can vie with it” he had declared (Vol.IV, Linguistic Survey of India). With specific reference to Bengali, Dr. Suniti Kumar Chatterjee had later to admit, “It may be said without travesty of linguistic truth that Oriya is the eldest of the three sisters (Oriya, Bengali and Assamees) (I.H.Q. Vol.XXIII, p. 337), in view of her “archaic” richness. The “Oriya Movement” succeeded and Orissa, as the first linguistic province took birth from the womb of Oriya language on April 1, 1936. We therefore celebrate Utkal Divas (birthday of Orissa) on April 1 every year. On the first April after independence, i.e. on April 1, 1948, Orissa decided to make Oriya the official language of the State, with effect from June 1, 1948 (Orissa Assembly Debates, 1 April 1948, p.748). Accordingly, the Assembly enacted ‘The Orissa Official Language Act, 1954’. Nabakrushna Chowdhury, whose government had brought the Act, was not tolerable to fellows like Biju Patnaik that were priding in being elite. The administrative officers, in order to keep them as a separate distinguished class, ignored the Act and went on managing their files in English. Chowdhury was to relinquish office due to their conspiracy. The Official Language Act was relegated to insignificance and English reemerged as the language of administration. Oriya language was rendered officially useless by Biju Patnaik when he became the Chief Minister. And he contrived a shrewd method to render it useless. When the Act of 1954 had stipulated that Oriya was “to be used for all or any of the official purposes of the State of Orissa”, Biju Patnaik damaged this stipulation by amending the Act in 1963 providing for use of English “in addition to Oriya for transaction of business in Legislature of the State of Orissa”. This shrewd insertion subjected Orissa administration to predominance of English and ruined the utility of Oriya as a language. The people of Orissa had saved their language from non-Oriyas through decades long movement. But non-Oriyas ruled the roost as Chief Secretaries till Biju Patnaik’s protege Nilamani Rautray was dismissed as Chief Minister by then Prime Minister Smt. Indira Gandhi. In fact, from B. C. Mukherjee to B. Venkataraman, the first sixteen Chief Secretaries since adoption of the official language resolution in the Orissa Assembly were all non-Oriyas. Due to them, despite adoption of the resolution by Orissa Assembly to make Oriya the official language with effect from 1 June 1948, administration run in English and even English remained the language of interview for administrative posts. Oriya lost its utility as far as official work was concerned. The change came with the end of Biju Patnaik’s shadow rule that his sycophant Nilamani Rautray was running, when President’s rule was promulgated on 17 February 1980. A silent scheme cooked up in Indira Gandhi’s kitchen made it certain that J. B. Patnaik would be drafted to take over Orissa and S. M. Patnaik became the first Oriya by birth to head the executive government as Chief Secretary of the State. So, by the time JB took over, an Oriya was ready as the Chief Secretary to help the mission of J.B.Patnaik to enforce the 1954 Act in making Oriya the official language in reality. Specific and time-bound steps were taken to train the stenographers in Oriya shorthand and typing; an expert committee was appointed to build up a full-fledged English-Oriya bilingual dictionary of administrative and legal words. The Government took up with type-writer manufacturers for Oriya type machines. JB set the 1st April 1985 as the day from which use of Oriya as official language would be compulsory. An year ahead of the targeted day, as many as 2,846 Oriya type-writers were supplied to all offices with another 2,077 machines on the anvil. It was decided to enforce use of Oriya as the official language by strengthening the 1954 Act with necessary amendments. But Biju Patnaik blatantly opposed the idea of making Oriya the official language. He was entirely in favor of English. When the Official Language (Amendment) Act, 1985 was taken up in the Assembly, it was Biju Patnaik, who opposed the proposal. “We can progress further if we have international (English) language (as the official language), he said. He ridiculed the idea of making Oriya the official language and went on elaborating, “If you go to Andhra , you will find DHUD DHUD, if you go to Karnatak, you will find FUD FUD ! Nothing you will understand there. So many languages there in our country. This is not a country at all”. And, this Biju Patnaik, on succeeding Hemanand Biswal of Congress on 5 March 1990 as Chief Minister, dismissed Oriya from official use with such contempt that the 2nd edition of the Administrative Dictionary, which was ready with more words, was abandoned. After JB’s return to power again in March 1995 the abandoned dictionary of administrative words was recompiled and published. Translation of various Acts and Rules into Oriya was taken up and official communications and file notes commenced in Oriya. But this third term of JB’s chief-ministership was under confusing impact of utter opportunism and corruption and capitalistic anarchy that Manmohan Singh’s emergence in power politics had generated in the country under Prime Ministers P.V.Narasimha Rao, which successive PMs like Atal Bihari Vajapayee, H.D.Deve Gowda, I. K. Gujral and again Atal Bihari Vajpayee had patronized to. JB had to make a lot of compromises to retain his government and had to relinquish his chair ahead of his term succumbing to internecine rivalry when the Congress high command was too demoralized to ensure for him the much needed discipline in his party to continue with authority. This is why, the compulsoriness he could have given to use of Oriya as official language had escaped his prerogative. And, then, with a very insignificant intervening phase in hands of two short stayers in CM chair, the State fell in the hands of Naveen Patnaik whose only qualification for the post is sonhood of a father whom the people had refused to rely, but whose posthumous image building by his shrewd sycophants has kept the people too overwhelmed to discard the dire danger. Oriya language has lost its utility most severely since the day Naveen Patnaik became the CM. Like his father as quoted supra, he is so contemptuous towards the Oriya language that despite 14 years in the highest political seat, he has not learned the language though non-Oriya IAS or IPS officers posted in Orissa learn and speak Oriya quite efficiently within a very short span of time, philologically so systematic is the language. 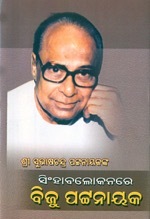 When, to the bad luck of Orissa, a man like him became the Chief Minister, apprehensive of embarrassment that my State will have to suffer because of his zero capability to understand and express in Oriya, I had made a Xerox copy of ‘ A Handbook of Uriya or Oriya Language’ authored by a British Civil Servant Mr. T. J. Maltby in 1874, and revised and republished by Government of Orissa in 1945 on the basis of copyright obtained from the daughter and heir of Mr. Maltby, which was helping the British and other non-Oriya Officers to learn the Oriya language for official use in Oriya speaking areas; and had given it to him through his Secretary. But my endeavor did not bear any fruit. Naveen Patnaik, whose mother tongue is not Oriya, continues to embarrass the people of Orissa by his clumsy utterances of Oriya words as yet, which he reads out from scripts typed either in Hindi or English. In his regime, Oriya language has suffered irreparable damage and humiliation. A Bengali colleague of Naveen Patnaik was the Higher Education Minister when directions were issued to jettison Oriya as a subject in degree course. When we exposed and vehemently opposed the anti-Oriya modus operandi under the caption “A Renewed Bengali Conspiracy: Thwart it. Thwart it. Thwart it” on 22 May 2005, and demanded that the Lingua-Benga Minister be sacked, holding Mr. Naveen Patnaik responsible for the rot, the order was, of course, nullified by the Chief Minister; but the national humiliation Oriya language suffered was not avenged. Naveen Patnaik continued to keep Higher Education in the hands of Samir De. We had reiterated on 30 May 2005, “Not enough, National humiliation must be avenged”. In the circumstances, in order to further hoodwink the people, to show them that he has his thinking for development of Oriya language, a few months after the official assault on Oriya by his colleague Samir De, a new hotchpotch styled as Odia Bhasa Pratisthana was floated. And, in this, he has destroyed the preeminence of Orissa Sahitya Akademi (Orissa Academy of Letters) in the matter of Oriya language. Against this backdrop, three-days long official celebrations of classical status of Oriya language under orders of Naveen Patnaik when general election is knocking at the door, seems to be nothing but bitchy politics, contrived again to hoodwink the people in the name of their beloved mother tongue. Prof. Nilakantha Rath has sponsored his father’s forgery in a new book related to Utkalmani Gopabandhu Das by publishing therein a document purported to be his Will “to prevent unnecessary speculations about it”. He hereby admits that there are “speculations” about the Will, which means, he knows, there are people who do not accept the Will as genuine. 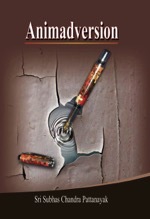 He has termed the speculations “unnecessary”; but he has not explained as to why the “speculations” are “unnecessary”. In course of discussions in this write-up, we will deal with the Will in details and show how it is a forged Will, in production of which, we have reasons to apprehend, Prof. Rath’s father late Radhanath Rath (Padma Bhusana) was involved. When making a further research into ‘Contribution of Oriya Media to reconstitution of Orissa as a State’, part of which is already published, I stumbled upon a displayed document in ‘The Samaja’ with Oriya caption “Pandita Gopanandhu Das mrutyu shajyare lekhi jaithiba “Will” ba Sesha Icchapatrara Abikala photochitra” (The exact photocopy of the Wlll that Pandit Gopabandhu Das had written in the death bed), though the same was topped with an all cap caption in English that read, “LAST WILL DICTATED BY PUNDIT GOPABANDHU DAS”. 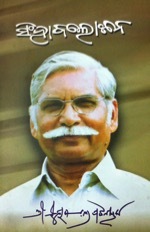 Radhanath babu was the editor of the paper. It had tremendous historic value in my view. Therefore, I perused it deeply. To my shock I found, it was not signed by Gopabandhu Das. Written by Lingaraj Misra, on this document, there were three names under sub-heading “witnesses” looking as if they had signed as witnesses to what Lingaraaj Mishra had written. Below their supposed signature, the date was mentioned “17.6.28” – the day of demise of Gopabandhu. The letters of the names of these witnesses tallied with the handwriting of Lingaraj Mishra, if he had written the document. When it was the “Exact Photocopy” of the will dictated by Gopabandhu and witnessed by these fellows, why had they not signed it? A doubt crept up in mind on genuineness of the “unsigned” Will published in the Samaja. Gopabandhu had died immediately after giving the alleged dictation. He was very very seriously ill and the civil surgeon on his visit a few hours ago had predicted his death within a very short span. But the flawless language used in the so-called Will was so superb and mindful of every details of his property, that it seemed very unnatural. It was not easy to accept that a man at the nearest verge of death could have retained his composure to dictate his Will so meticulously and in such flawless language. I consulted some very eminent physicians, forensic experts and psychologists, without telling them that I was querying on Gopabandhu, and rather reading them the text of the published Will with substituted names, as to whether in such a condition, specifically when a senior and expert civil surgeon called on emergency from a district headquarters hospital had declared that death was sharply approaching, a man could have the composure to give dictation of such a brilliant Will without being perturbed at all? All of them said, it was not normally possible. In that peculiar situation, I decided to attract public attention to this issue and published my views in ORISSA MATTERS on August 8, 2012. A group of journalists shocked over the absence of Gopabandhu’s signature in what was published by ‘The Samaja’ as the “Exact Photocopy” of his Will, studied the matter and formed a forum called ‘Save the Samaja Forum’ (SSF) to seek clarification from the publishers of the paper/Servants of the People Society (SoPS). SSF held a press conference and issued a press note. Though the press note as well as a copy of the published Will purported to be of Gopabandhu were collected by the reporter of the paper in the press conference, the news was not published by it. On the other hand, its editor published a display ad in its following edition savagely attacking the office bearers of SSF. SSF had given them a call to clarify on the issue raised and publish the genuine Will, if any, authored by Gopabandhu. The matter could have ended on publication of the real Will, if any, and publication of reasons of absence of Gopabandhu’s signature and signature of the witnesses on the the Will if what was published in ‘The Samaja’ was the “Exact Copy” thereof. As “The Samaja’ did not publish the real Will, if any, we investigated into what could have happened to it. And, our investigation leads us to documents that make us apprehend that the Will of Gopabandhu, which SoPS has been using to claim ownership over The Samaja, is a forged Will. SSF informed the Registrar of Newspapers for India (RNI) about this and demanded action against publication of the newspaper under illegitimate ownership. We are yet to hear from the RNI. Now as our investigation proceeds, we have come across documents that make it clear that Gopabandhu’s Will, by using which SoPS has grabbed ‘The Samaja’, is a product of forgery and Prof. Nilakantha Rath’s father Radhanath Rath was involved with this forgery. His partner in this forgery was another acolyte of Gopabandhu, Lingaraj Mishra. Both of them had immensely benefited from the forgery, as occupation of Assembly and Parliament seats and Cabinet berths by both of them was easy by use of Gopabandhu’s name and fame and the media power of ‘The Samaja’. Both of them were Education Ministers of Orissa; and so antagonists were they in real terms to Gopabandhu in their minds, that the famous National Bana Vidyalaya, which Gopabandhu had established in the Bakula Bana of Satyavadi was obliterated without any of them paying any attention to its salvaging. ORISSA MATTERS continued to expose the mischief. Its write-ups are also posted in a specific site – savethesamaja.com for easy watch. The social media – FaceBook has a page dedicated to ‘save the samaja’ campaign, where the subjects published in the above two sites are being posted. Till date, neither ‘The Samaja’ nor the SoPS has shown that the Will used by SoPS is genuine.Eminent journalist and joint convener of SSF Sri Prasanta Patnaik has presented the shock of Orissa over the silence of SoPS/ The Samaja publishers in this calling matter. But instead of clarification, attempts have been made to mislead the authorities as well as the public by projecting the forged will as genuine. Sadly, an eminent Professor like Nilakanth Rath has tried to mislead the public by publishing the same forged Will as “the probated Will of Gopabandhu”, in a notorious attempt to add authenticity to the forged Will. The Will he has published as the probated Will of Gopabandhu has never been probated. So his projection of the forged Will as probated Will is a punishable mischief and a calculated endeavor to hide his father’s crime. He has used a crude technique in his endeavor to hide his father’s crime. Lest people seek the original Will to compare with the same the one he has published, he has declared that he has published the “probated copy” of the Will “since Pandit Gopabandhu’s original Will was already missing from the store room”. When the “original” Will “was already missing” and when he admittedly knows that there are “speculations” about Gopabandhu’s Will, how could he ascertain that the the Will he has published is genuine enough to stop the speculations? 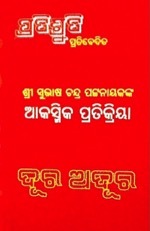 His book is styled as ‘Dasa Apanenka Chithipatra’ with the English caption: ‘Correspondence of Pandit Gopabandhu’ which he has released in a public meeting at Cuttack, claiming that, thereby he has “discharged a debt (his) father owed to his Guru (Gopabandhu Das), to the Samaja and to the Odisha society at large”. When the purpose of the book was to publish the letters of Gopabandhu, why has he published the purported Will though the same never belongs to the category of ‘Chithipatra’ (Correspondence)? It seems he has a hidden motive. And, that motive is discernible in his declaration that the original Will of Gopabandhu, which he had seen in his father’s possession, is missing. He might have seen the real Will that his father Radhanath had taken dictation of from Gopabandhu and suppressed. He might have, despite this reality, felt that if the same be brought to records, the crime of his father in suppressing the real Will and promulgating a forged Will in its place, would be exposed, exposing his father to posthumous condemnation for his crime. So, obviously, he has used this technique to hoodwink the people in matter of the Will. We have reasons to suspect that by publishing the forged Will of Gopabandhu in circulation by the Samaja publishers, Prof. Rath has sponsored the forgery committed by his father in collaboration with Lingaraj Mishra. There is vast, basic, and clear dissimilarity between the “Exact photocopy” published in the Samaja and the one published by Prof. Rath in his book. The “Exact Photocopy” of the Will is handwritten and has 10 paragraphs with margin notes at the end of which it is noted “Sd/ Gopabandhu Das without any date. Below that is written “Written by Lingaraj Mishra” without any date. To the left side thereof, it is written, “Witnesses” below which it is written, “D.V.R.Patnaik Basudev Mohapatra Ramachandra Raut” in descending order without any coma or serial number and without their identity; and below that, a date – 17.6.28 – has been mentioned. But the so-called Will, which Prof. Rath has published in his book, has the date – 17.5.28 – written to the right of “Sd/- Gopabandhu Das” in one line. Then the words “written by me to his dictation” has been prefixed to “Sd/- Lingaraj Mishra. 17.6.28”. Thereafter it is typed, “Sd/- Ramachandra Raut, President, Satyabadi U. 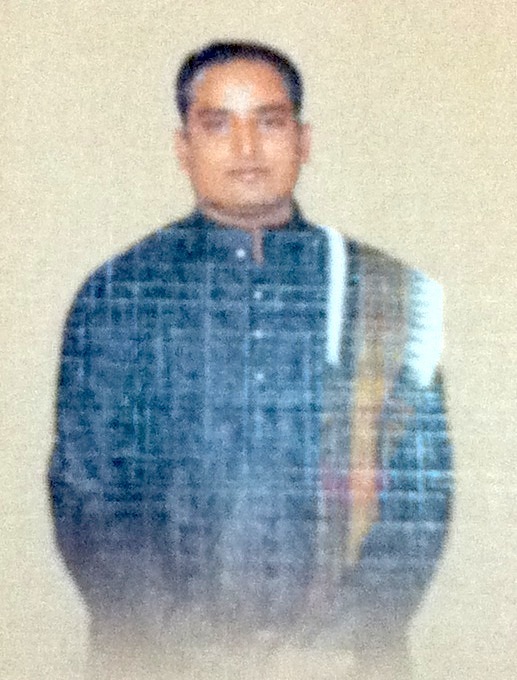 Board, 17.6.28″ and next, “Sd/- Basudeva Mohapatra, Biramchandrapur. 17.6.28”. Below these depictions, it is written, “I testify that the contents of this will were dictated by Pandit Gopabandhu Das, while in his full senses, and was read over to him and he signed in our presence and we signed in his presence at 5 P.M.” Below this testimony, it is written, “Sd/- D.V.R. Patnaik, L.M.P. 17.6.28” and below that, “Attending Doctor”. A comparison between the two above documents shows that they are not the copies of the same document and there is speaking difference between the both. The document published by Prof. Rath seems to be improvisation done to the document, the “exact photocopy” of which was published in the Samaja on 7.7.1986, which was not also the real Will that Prof. Rath had seen in possession of his father; but, according to him, “was already missing from the store room”. Prof. Rath has not explained the phenomenon. The document produced by Prof. Rath not only does suffer from dissimilarity with the document, an “exact photocopy” of which was published in the Samaja, but also is indicative of foul game his father had played. If Gopabandhu Das was Utkalmani Gopabandhu Das, that was because of the strongest support and affectionate patronage of Pandit Nilakantha Das. The Vana Vidyalaya had attracted national attention because of the masterly and matchless academic input Pandit Nilakantha had been giving it. Samaja was collectively created by Gopabandhu and Nilakantha with all necessary support from other teachers of the Vana Vidyalaya, collectively known as Panchasakha. Nilakantha had procured the Satyabadi Press for generating funds for the Vidyalaya in 1918. He had also purchased a house for Gopabandhu from where about a year later ‘The Samaja’ was published in 1919. Satyabadi Press was handed over to the Samaja for its printing. Pandit Nilakantha was Gopabandhu’s closest comrade. He has given eye-witness accounts of the time of Gopabandhu’s death. In his Atma-Jivani (auto-biography) he has written that when he was standing speechless looking at Gopabandhu degenerating into death, Radhanath Rath was taking dictation of his Will. He has written, at p.115 of his autobiography,”I stood speechless for 10/15 minutes while watching him dying. Before breathing his last he dictated his last Will. Radhanath Rath was taking the dictation. He sobbed as he informed his elder son-in-law Ratnakar Pati that he was dictating his last Will and testament. At the end, he threw away the Will after putting his signature thereon. He donated the Press to SoPS”. There is no better evidence than the eye-witness accounts of Pandit Nilakantha Das to prove that the Will produced by Prof. Nilakantha Rath is a forged one. 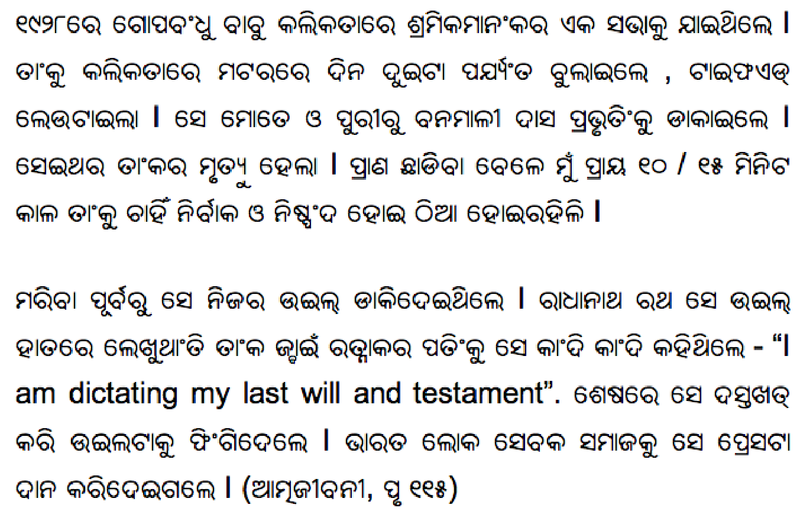 Prof. Rath has published the forged Will, by using which, SoPS has grabbed the Samaja. When the Will published by Prof. Nilakantha and used by SoPS says that Lingaraj Mishra had taken the dictation, it is proved by eye-witness accounts of Pandit Nilakantha that it was Radhanath Rath to whom Gopabandhu had dictated his Will. Where has that Will gone? That has gone certainly into the wastepaper basket by Radhanath Rath as none but him could have destroyed the same.Prof. Rath has admitted that he had seen the real Will in his father’s possession. It was never probated. Had it been probated, it would never have remained in the possession of Radhanath Rath, because, he was neither the executor nor the heir of Gopabandhu and furthermore, it should have been preserved in the strong room of the District Judge of Cuttack, who had granted the probate.So, definitely Radhanath Rath, who had taken the dictation of the Will, had hidden the same and used Lingaraj Mishra in manufacturing a forged Will to his own advantage as already has been discussed in these pages.As we have already seen, the draft Will taken dictation of by RadhanathRath was reduced to fair/final copy by Lingaraj Mishra and was probated. But, as the same did not suit the evil intention of Radhanath and Lingaraj, in nexus with Radhanath, Lingaraj made a new draft which they got authenticated by a sheristadar of the District Judge, Cuttack and used to grab the Samaja. But as their produced document was not a stamped “certified copy” of the Will, its authenticity, despite being authenticated by the Sheristadar, was always questionable.So, attempts were made to obtained a “certified copy” whereupon at the copy-typing stage, tampering was done to match the forged Will made by the duo and authenticated by the Sheristadar. We have documents in our possession that shows how tampering was attempted to on the typed copy of the Will preserved in the office of the District Judge, Cuttack. Radhanath Rath was Editor of the Samaja at that time and was the greatest beneficiary of the forgery and was to stay safe for ever had that tampering in the typed “cerified copy” could have escaped the comparer’s attention. Prof. Nilakantha Rath has reproduced in his book the last forged avatar of the Will, when, according to him, his father Radhanath Rath had kept the real Will in his store, which he had seen, yet unable to retrieve, because it “was already missing from the store room”. Radhanath Rath had clearly played the mischief. In collaboration with Lingaraj Mishra, he had suppressed or destroyed the Will that he had written to dictation of Gopabandhu and cunningly replaced the same with another document where Lingaraj Mishra has been shown as the writer. Obviously, the Will that is shown as written by Lingaraj Mishra and in use by SoPS/ occupiers of the Samaja, is a forged Will manufactured by both Radhanath Rath and Lingaraj Mishra. It is a heinous crime that requires criminal punishment for the both of them even if it be posthumous. By gaining over or by being associated himself with Radhanath Rath, Lingaraj Mishra has forged the Will, as he has written to have written the same “to Gopabandhu’s dictation”. The two fellows who are shown to have signed the forged will as witnesses to Gopabandhu’s dictation and Dr. Rao who is shown to have given the testimony are all part of this heinous crime. This forged Will was certainly written much after Gopabandhu’s demise and there was certainly no signature of Gopabandhu thereon. Dr. Rao’s testimony inscribed in the so-called Will does not have an iota of factuality, in view of the eye-witness accounts of Pandit Nilakantha Das, that clearly says that Gopabandhu had dictated the Will to Radhanath Rath (not Lingaraj Mishra). The mens rea behind this forgery is very clear. As per eye-witness accounts of Pandit Nilakantha Das, Gopabandhu had given to SoPS the Satyabadi Press only, not the Samaja. Mishra and Rath knew that the press shall not help them much in achieving their political ambitions. The Samaja being known by the name of Pt.Gopabandhu, Pt.Nilakantha, Pt.Godavarish, Acharya Harihar and other founders of the ‘Satybadi Era, had tremendous media and political power that they could use to rise in political ladder. Therefore, they willfully suppressed or destroyed the original will of Gopabandhu dictated to Radhanath Rath and later manufactured the forged Will to convince the public that Gopabandhu had gifted away the Satyabadi Press and ‘The Samaja’ to SoPS, under the cover of which, it was only they, who were to become the real beneficiaries. Pandit Nilakantha who inherited Gopabandhu as editor of ‘The Samaja’ as co-founder thereof, had, as per Udayanath Sarangi’s accounts, vehemently opposed this foul game of Radhanath Rath. But after capturing the Samaja thus fraudulently, the forger duo had rudely thrown him out of the Samaja after a few months of Gopabandhu’s death. Obviously, he had to pay the price by not accepting the forged Will. We have more documents in our possession that will further expose the felony of forgery perpetrated by Radhanath Rath and Lingaraj Mishra. Let Prof. Rath reveal as to why he has accepted (in the absence of the original Will) the document he has published in his book as “the probated copy of Pandit Gopabandhu’s Will”. And, say, on what ground he believed that this is the “probated copy” of the Will. On the basis of documents in our possession, we have no doubt that Prof. Rath has sponsored his father’s forgery to hoodwink the people of Orissa. Let him say if he has anything else to say. Orissa has elected four of five candidates to the Rajya Sabha. They are: Ananga Uday Singhdeo, Kalpataru Das and Saraswati Hembrum of BJD and Ranjib Biswal of the Congress Party. Raghunath Mohapatra, who could not win, was planted as independent candidate by the ruling party – BJD. He would not have lost, had precious six first preference votes of BJD not been used to bulge the victory of its three successful candidates. When to comfortably win, candidates were requiring 30 first preference votes each, the BJD had enough MLAs to ensure victory of its three candidates. So, the three official BJD candidates were not supposed to be defeated. The factotumal loyalty of the BJD MLAs to Naveen Patnaik was expected to give victory to his fourth candidate too. Horses were procured and the BJP bloc, eager to pave the path for their prime-ministerial candidate Narendra Modi, had declared its support to Naveen’s planted candidate, in hope against hope to rope him in when fight against the Congress for the top political post of the country would be calling. So, Mahapatra was expected to win. But, he succumbed to the dearth of first preference votes as six of BJD MLAs preferred not to budge as per whims of Naveen, but rather to help their own party candidates bulge with votes in excess of what they really needed. Thus, when Mohapatra’ defeat is a political defeat of Naveen Patnaik, the victory of his three candidates carries no signature of victory, in absence of any challenge. Therefore, if victory is viewable, it is only in the election of the Congress candidate Ranjib Biswal, to defeat whom, the ruling party was indulged in horse-trading sans any qualms. The history of Orissa’s musical tradition goes back to the 2nd century B. C. as we have documentary records of histrionic arts (Gandharva Kala) explicitly reflected on the rock edicts of Hatigumpha (Elephant Cave) in king Maha Meghavahana Kharavela in Udayagiri hill at Bhubaneswar. 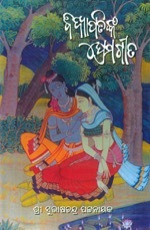 The archaeological evidences, historical facts, literary and documentary proofs, oral tradition handed down from generation to generation, style of presentation, gramatical and technical aspects prompt us to believe that ‘Odissi” is significantly one of the important streams of Indian Classical Music with a rich treasure of musical rendering like Chhanda, Champu, Chaupadi, Chautisha, and lyrics of Geet Govinda of Jayadev etc. Odissi music is the finest reconciliation of harmony with melody, which suffers no diminution of the essential quality of the classical music. The individual character of Odissi Music makes every recital an interpretation and self-expression. The pace of Odissi Music with its vibrated motion called GAMAKA emanates a flavour which marks its special entity. SAMA PRAYOGA OF BHASA AND RAGA (equal application of language and Raga). The major and inevitable accompanying instrument of Odissi Music is MARDALA. These words of Guru Dheeraj Kumar Mohapatra were presented with corresponding demonstrations in the open air auditorium of Utkal University of Culture, Bhubaneswar last evening when Mohapatra’s audio CD “Odissi Dhara” (Geetanga style of Classical Odissi Music) was dedicated to the people along with his second CD in the series, “ Meeta Chahan” (Nrutyanga style of Odissi Music) under chairmanship of Prof. Dr. Jagannath Kuanar, Department of Instrumental Music of the University. The University Vice-Chancellor Prof. Dr. Debendra Nath Jena, speaking as the Chief Guest, lauded Mohapatra’s path setting endeavor, which, he was sure, will strengthen immensely Orissa’s claim for classical status to her unique music. Mr. Satakadi Hota, President of Orissa’s Academy of letters, dwelt on the glorious history of Odissi Music, underlining that the Oriya language which has been proved as a classical language is developed on Odissi Music and hence, it deserves national accordance of recognition to its classical status without any delay, specifically as this style is absolutely unique and has evolved on its own tradition. Former Indian Ambassador Mr. Abasar Beuria maintained that recognition or no recognition of its classical status, Odissi Music is a very independent, unique and magnificent music of ancient origin which has developed in a pattern of its own. Dr. Suman Das, Registrar of the University, praised Mohapatra for having made the institute proud over his association with it as a faculty and was sure that his contributions shall always enrich Odissi Music. Prof. Dr. Tamasarani Das Mohapatra, Principal of Utkal Sangeet Mahavidyalaya expressed profound pride and satisfaction over the works done by Mohapatra. The Guru’s two disciples – Lilamayee Panda and Sagarika Kundu – presented Odissi Vocal whereas further two disciples – Bijaynee Madhusmita and Minakshi Rani Jena – presented Odissi Dance under his directions. 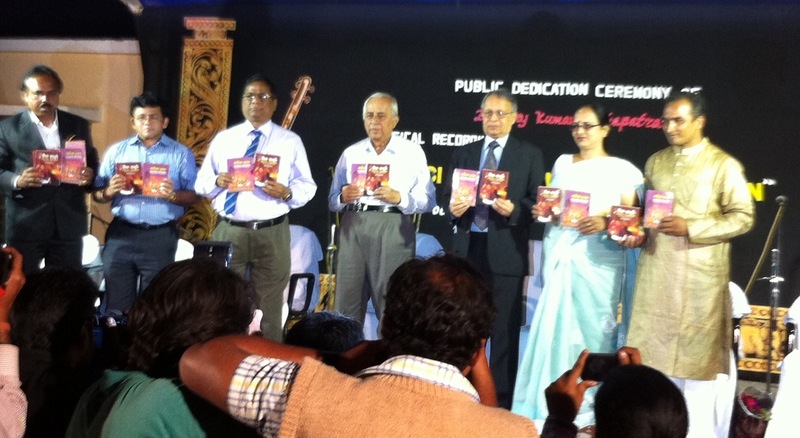 All of four performers are conspicuous by their participation in Geetanga and Nrutyanga rendition in the CDs. Transfer of government officers has become an industry in Orissa; the only industry that ensures income without investment. It affects Orissa, because it erodes work culture by promoting corruption and favoritism in administration while adversely affecting working aptitude of victims of wrongful transfers. The Chief Minister should look at the phenomenon in right earnest. All the files of transfer of officers of class II and above rank in the Government, after what is called ‘transfer season‘, come to the C.M. for final approval. Instead of merely putting his signature in approval of the proposal, the CM should go into the pages of the transfer-files to save work culture from further erosion. Transfer affects the life of an employee and hence, manipulated transfer affects work culture by petering out the working aptitude of honest officers whom shrewd self-seekers in corridors of power make the victims. As already noted, transfer of officers is the only industry that facilitates income without investment and this industry is very active in Orissa. In every department there are establishment sections with ‘Dealing Assistants’ assigned with specific files for specific groups of officers where transfer proposals are basically made, and there are ‘Section Officers’ in charge of corresponding Sections through whom the proposals initiated by the Dealing Assistant reach the Joint Secretary or Additional Secretary or even a Special Secretary placed in charge of establishment. Transfer proposals initiated at the dealing assistant level thus takes a concrete shape before reaching the Departmental Secretary; and with endorsement from the Chief Secretary, the file reaches the Minister in charge of the department and from there it goes to the CM to get the final stamp of approval. Often the CM signs on dotted lines, because by that time, the CMO involved, the entire process must have been so managed that scope for the CM to say ‘no’ to such proposals would have become too scant for difference. The entire process is vitiated with corruption. And corruption is the only fuel that runs the transfer industry under the pretense of exigencies of administration. Transfer encompasses two sets of officers. One, who is relieved and the other, who relieves. Relieved officers are usually the victims of machinations. I will cite only three instances as the minimum required elaboration of patterns of the mischief. In this pattern, innocent officers, having no godfathers behind them, suffer transfers, as thereby officers with backing of godfathers can be accommodated in their places. 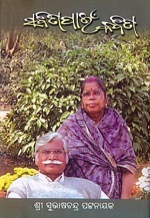 As for example, Dr. P. C. Mahakud, a surgery specialist of capital hospital, Bhubaneswar, who had been posted there against a vacant post after serving more then 25 years the remotest areas of the State that roughly constitute the KBK region, was suddenly transferred to Nayagarh within a very short span of time, as a relation of a top functionary in the Chief Minister’s Office was eager to come to the capital hospital. In this case, Dr. Mahakud had to suffer such unjustified transfer, because, a relation of a high power person was to be accommodated in his place. He was clearly a victim of machinations at that time, though he never objected to his transfer, as to him, obeying the government was his duty. In this pattern, honest officers who do not grease the palms of higher officers get transferred to disadvantageous places. As for example, Shashi Bhusan Mohanty was District Agriculture Officer at Angul when Srinibas Rath, the then Agricultural Production Commissioner in the rank of Additional Chief Secretary, visited the place in the guise of official tour. Mohanty was asked by the private secretary of the APC to keep ready for him new sets of rest room requirements like towels and tooth brush etc, which he had done. He was again asked for new sets of the same for the next day. The accompanying staff of the APC made it emphatically clear to Mohanty that the ‘Sahib’ was not in the habit of using the same rest room materials twice. So, Mohanty supplied new sets to the APC everyday till he left. But, at the time of his departure, he served on him a detail bill for the rest room materials purchased everyday as per orders of the accompanying staff of the APC. This was not to be digested by the top officer. By that time, Mohanty, selected by the DPC for the post of Deputy Director of Agriculture, was awaiting the promotional posting. But, as an off the record punishment, he was posted to Kalahandi to be departmentally tortured by another IAS officer – Tara Datt under charges that soya bean seeds supplied by the government were lying unsold. Datt ordered for recovery of the cost of unsold seeds from his salary, though in no way he was responsible for the situation. In fact, the cultivators had rejected the seeds because of lack of their faith in the seeds supplied officially. It was often being agitated in various parts of the State that officially supplied seeds were not germinating and bearing properly. Datt soon understood the reality and withdraw his orders. But, this instance speaks of how honest officers are transferred and tortured because of reluctance to comply with dishonest desires of top bosses. In this pattern, an officer is transferred not for any fault at his end, but for wrath of wrongdoers whom he/she refuses to oblige. As for example, Labor Minister Bijayashree Rautray had to carry out oral orders of Chief Minister’s Private Secretary V. K. Pandian to transfer P.K.Mohanty, District Labor Officer of Cuttack within a very short time of his posting, because he had justly initiated action against the unfair labor practices and prosecutable contravention of labor laws by the publisher of The Samaja, the newspaper that has pledged pages to political propaganda of the CM. These are just three samples of the practice whereupon the transfer industry stands. In this industry, the functionaries who handle the machine of posting, have tremendous scope to earn without any investment. While giving his final approval to any chain of transfer, if the Chief Minister looks at how the proposal is generated and vetted, I believe, this industry would pose no problem to good administration. Let the CM use intelligence. Let him dig out how the transfer industry works. Let him find out the reason of delay beyond the normal ‘transfer season’ in preparation of the proposal for transfer and posting. Let him ascertain how much time the vetting Officer – the Joint Secretary or the Additional Secretary or the Special Secretary – takes in finalizing the transfer chain, and the reason of delay, if any, at his level; and finally when the proposal reaches the Minister, and how long time it takes to get cleared by the Minister to reach the CMO. Every point of delay beginning from the initiation of the proposal to vetting thereof, stage by stage, and clearance of the finally vetted chain of transfer by the Minister concerned to reach the CMO is a point of bargaining for backhander. And, this is a major cause of corruption in administration and endangerment of work aptitude in the victims of machination. The CM should look into the matter seriously if official work culture is not to be left to further erosion. Governor S.C.Jamir was very emphatic on how Maoists are being marginalized through combing operations in Orissa when four special security battalions are pressed to combat the ultra revolutionaries in southern districts. As many as 183 police stations considered vulnerable are provided with more hands to exterminate extremism, he informed Orissa Legislative Assembly today while reading out his address that was attacked by the leader of Opposition Bhupinder Singh in a parallel speech of protest. Congress party ultimately boycotted the Governor’s speech. But in his speech, the governor was seen shying at detailing the contributions, if any, of industry to economic improvement of the state. The Governor said that per capita income has gone up to Rs. 26,900 per annum by 2011-12. Though the data thus indicate that the government is not updated, the governor claimed that poverty rate has come down to 24.6%. If poverty rate has come down, industry’s role in this is not known. But, tillers of land, who are never given priority at par with industry, have given the real boost to economy by producing food grains to the tune of 114 lakh metric tons in 2012-13 which is, according to the governor, an all-time record. One is to watch if the Assembly pulls out the government’s industrial face from hibernation to evaluate its contribution to economic improvement, when the customary speech of the governor has not thrown adequate light on the greatest beneficiaries of official priority.